BELIZE CITY, Fri. Mar. 27, 2015–Last October, the Opposition People’s United Party (PUP) commissioned Cayo South area representative Julius Espat to lead a Supreme Court challenge to what the Opposition has maintained are the illegal borrowing and spending of funds obtained via a peculiar credit arrangement with Belize’s ally, Venezuela, under which Belize receives fuel products from that country but pays only half of the bill upfront, while the government gets to retain the remainder of the funds due to Venezuela as a part of a 25-year loan agreement at 1% interest. The result is that the Government of Belize has $286 million in financing from Venezuela since late 2012, and a new bill tabled in Parliament this week seeks to retroactively validate all the borrowing and spending based on the PetroCaribe accord. Although the financing terms are unbeatable, the Opposition continues to maintain that the way the Barrow administration has been racking up the debt and spending those funds—as well as the latest bill taken to Parliament to retroactively approve the Barrow administration’s actions since September 2012—runs afoul of both the Belize Constitution and the Finance and Audit (Reform) Act 2005. 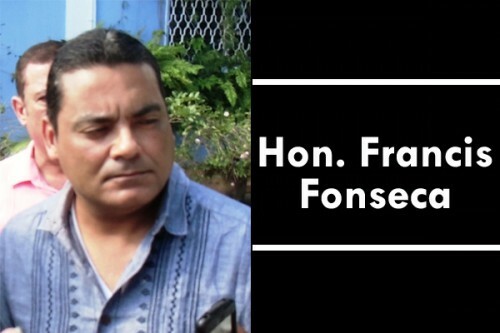 In fact, Opposition Leader Francis Fonseca went so far as to say that the actions are criminal – and in protest of those actions, the Opposition “will not be accepting a single copper” of those PetroCaribe funds, “whether it be the Mother’s Day, the X-Mas or any other cheer”, because, he said, the PUP, cannot and will not be a party to any such criminality. When the debate about the PetroCaribe spending first erupted in Parliament last year, when Prime Minister and Minister of Finance Hon. Dean Barrow tabled the first motion for Parliament to retroactively approve spending for the period September 2012 to November 2014, Espat pointed to an amendment that the Barrow administration had made in 2010 to the Finance and Audit (Reform) Act 2005, which, he said, criminalizes contraventions to the law. Ten years ago, the trade unions, the private sector and various social partners led protests against the financial practices of the then PUP administration, led by former Prime Minister Said Musa, calling for more transparency and accountability in the face of multimillion dollar deals which had been executed in secret, primarily with members of the Ashcroft group of companies and related interests. Before the debate on the national budget for 2015-2016 was opened yesterday, Thursday, a new PetroCaribe Loans Bill was tabled in Parliament, seeking to exclude PetroCaribe borrowing from the provisions of the Finance and Audit (Reform) Act, which states that any borrowing for $10 million or more can only be valid if Parliament approves the borrowing beforehand. The Opposition Leader, who demanded that the bill be withdrawn, maintained that the bill in question is scandalous and unconstitutional, and that Belizeans should have every opportunity to read, understand and offer their views on it before it is passed through the House. Fonseca’s insistence notwithstanding, the UDP-majority in Parliament voted to approve the bill, and it was passed up to the Senate, which meets on Monday, March 30, for approval. However, the PetroCaribe spending remains the subject of the Supreme Court claim filed by Julius Espat of Cayo South last October. In Parliament today, House Speaker Michael Peyrefitte restrained Espat’s comments on the legal issues surrounding the PetroCaribe deal, saying that he could not argue his case which is before the court inside Parliament. In presenting the bill on Thursday, Prime Minister Barrow said that what the bill does is “put beyond question [the Government’s] ability to continue to borrow from [Venezuela] and make use” of those funds, which, he said, will still be part of Belize’s consolidated revenue fund. Barrow said that the last time he raised a motion for PetroCaribe in Parliament, he had explained again the peculiar nature of the arrangement, and the fact that the type of arrangement which Belize has with Venezuela is not properly provided for on statute books. Barrow said that the new law would provide that going forward, there is authority to borrow in peculiar circumstances which prevented them from seeking parliamentary approval beforehand.